This morning, theGU14 Squad's top Regional team 'Ice' - who won their league by winning every match! - were up against Barnes is a Regional League play-off for a place in League Finals Day. It was a ridiculously hot day for hockey but Marcus was his usual 'cool as a cucumber', and the girls dominated from the start. They never looked like anything other than winners and came away with a fantastic 4-1 win. The GU14s Premier League team then had to battle through bad traffic to get to Marlow. Without a coach (all coaches at the U16 boys finals and with the Ice team) - it was Dr Woods that cooly managed the team for the first half - managing subs by mobile and triaging the various injuries and heat stroke casualtie. We were 1-0 down at half time. David finally arrived at half time and with both the Dr and the Coach on board the girls put away two great goals to finish 2-1 which also earned us the top League Table spot! So both Fire and Ice teams have finished top of their leagues and qualify for Home Counties Girls League Finals Day on 30th April. 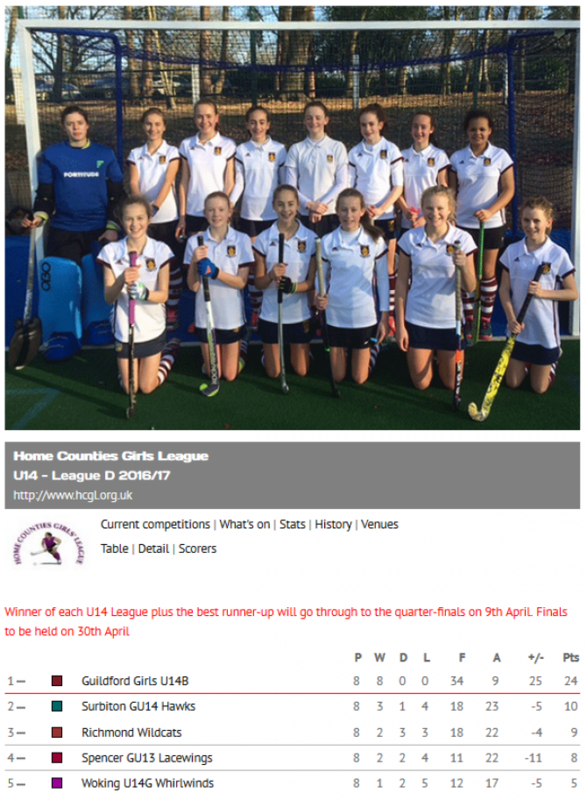 The Shadows team narrowly missed getting to the League play offs showing what huge depth Guildford Girls U14 has. 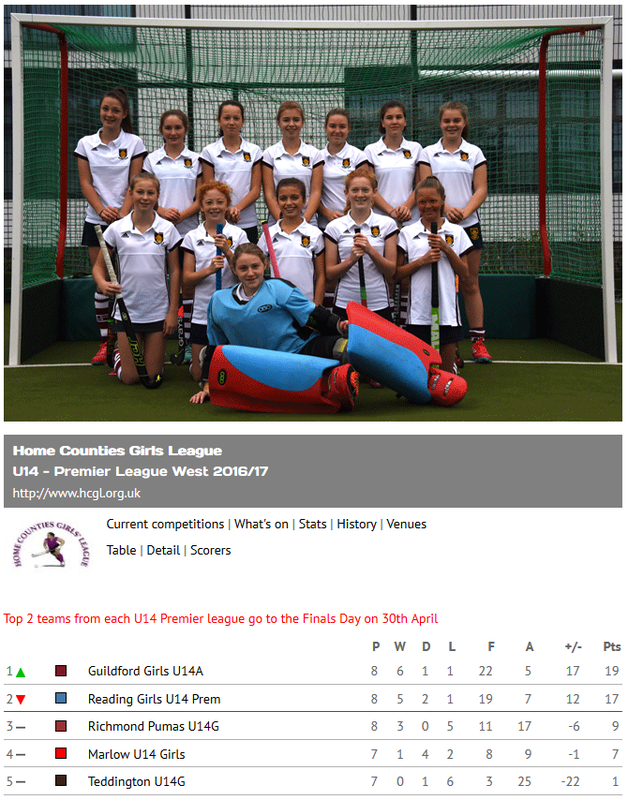 Many great hockey players did not start playing till they were 13 or 14, Lily Owsley and Susannah Townsend to name but two - so you are all part of a squad/club that is GOING PLACES - GOOOOO GUILDFORD!!! !